If your marriage is ending or you need support for another family law issue, a knowledgeable, compassionate attorney can help you overcome difficult times and move forward confidently. At Green Family Law, P.A. in Orlando, our lawyers have more than four decades of combined experience successfully advising clients throughout Central Florida in spousal and parenting disputes. 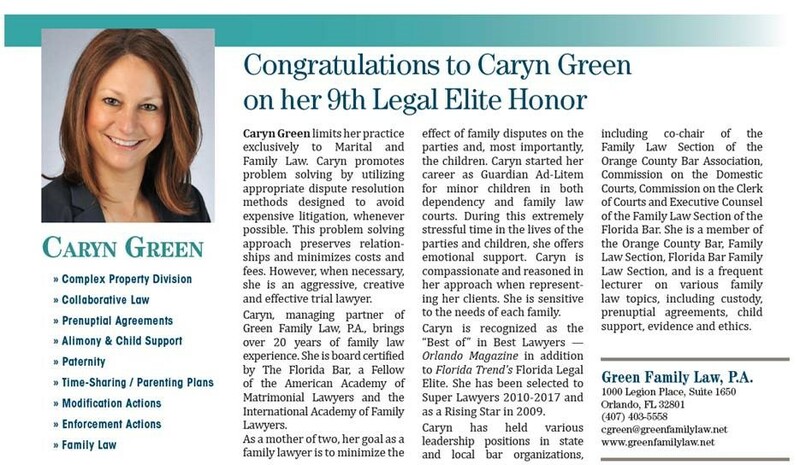 Firm attorneys Caryn Green and Susan Savard are board certified in marital and family law by the Florida Bar Board of Legal Specialization and Education, signifying their professionalism and expertise in this area. Our practice focuses on saving you time and money by resolving matters outside of court whenever possible, but we are experienced litigators who provide strong trial advocacy whenever necessary to protect your rights. Detailed advice — Our lawyers take a proactive approach not only to secure a positive outcome, but also to minimize negative effects on children and other family members. Personalized attention — As each family is different, so is each case that we handle. Our lawyers take the time to answer every one of your questions and understand your specific priorities. Carefully planned strategy — The outcome of a family law matter can affect you and your children for years to come. We develop a comprehensive plan to achieve your goals in the short and long term. We are committed to treating each client with respect and compassion as we seek creative solutions tailored to their particular needs. Family law — No matter what type of family law assistance you need, our lawyers provide diligent, efficient representation. Complex property division — If your marriage is ending, we are skilled at handling both simple and complex property division matters so that you receive a fair share of the marital assets. Collaborative divorce — Spouses who use the collaborative divorce process can avoid the cost and procedure associated with litigation. We can outline the difference and help you reach a mutually agreeable result. Prenuptial agreements — Our lawyers work with couples to draft prenuptial agreements that protect each party’s legal and financial rights in case the marriage dissolves later. Alimony — Florida law authorizes five types of alimony. If financial maintenance is a potential factor in your divorce, our firm will advocate for an appropriate resolution. Whether your case is simple or complicated, you can count on receiving high-quality advice and advocacy from our legal team. Attorney Caryn Green has held leadership roles in several professional organizations and has earned an AV® Preeminent™ Peer Review Rating by Martindale-Hubbell®, a recognition of her legal ability and ethics by attorneys familiar with her work. You can trust each of our lawyers to handle your family law matter with the diligence you deserve. Green Family Law, P.A. 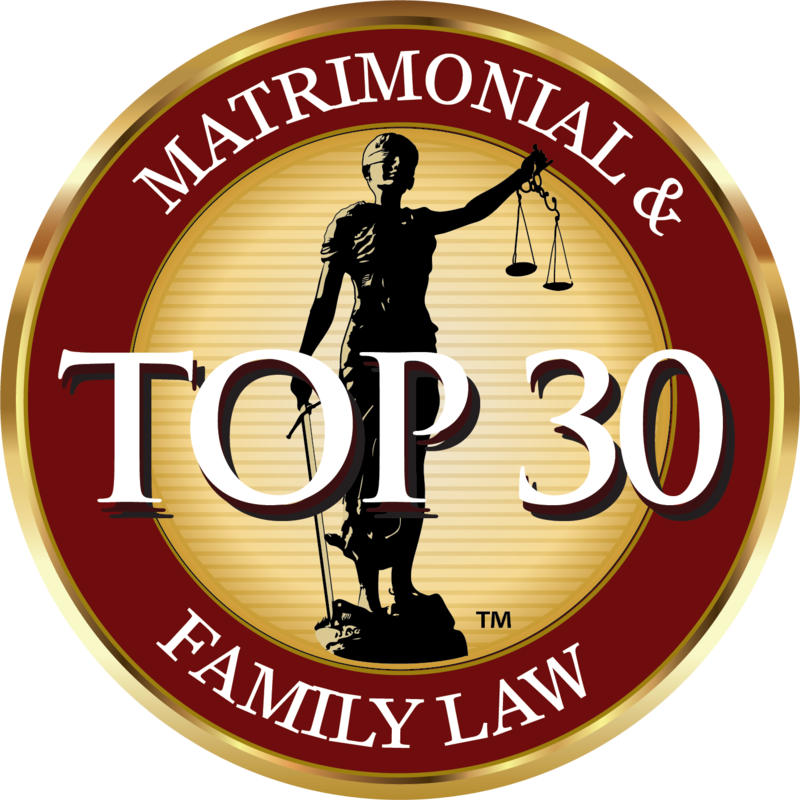 represents Central Florida clients in a full range of family law matters. Please call 407-403-5558 or contact us online to schedule a consultation at our Orlando office.